Year 5 and 6 have had a fantastic start to their Victorian topic. 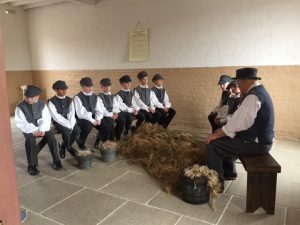 They visited The Workhouse at Southwell (a National Trust property) and had the opportunity to experience life in the Workhouse for themselves. 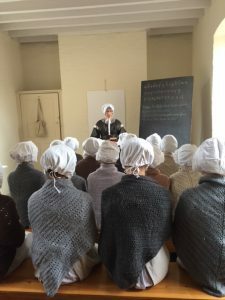 They became real characters from the Workhouse, all having the chance to dress up to get into their roles. The boys and girls had completely different experiences with the girls cooking and sewing, and the boys gardening and picking oakum. In the afternoon children researched their characters using real records, the census and books from The Workhouse.